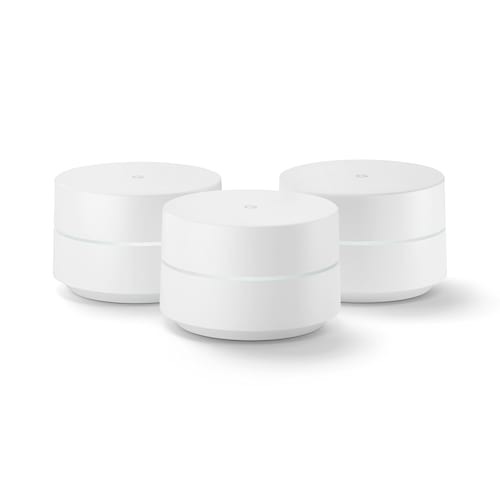 A new type of connected system for seamless Wi-Fi coverage throughout your home, helping eliminate dead zones and buffering. Replaces your current router, and works your modem and internet service. It's compatible with major internet service providers including Comcast, Time Warner, and Verizon Fios. A single Wifi point covers up to 1,500 sq. ft, a set of three covers homes up to 4,500 sq. ft. Wifi points work together so you can add more if you need additional coverage. Network Assist technology keeps your connection fast by always selecting the clearest channel and fastest band for your devices. A simple app gets you set up quickly and allows you to see what's connected, prioritize devices, and pause the Wi-Fi on kids' devices.